Video: Now is the Time to Plant a Tree! Now is the time to plant a tree. We suggest you make it a historic apple tree. Imagine planting an Esopus Spitzenberg, Thomas Jefferson’s favorite or a Pink Pearl – an apple with glistening pink flesh. Intrigue your friends with a Winter Banana with splashes of red against a yellowish-white background or a Cox’s Orange Pippin – a venerable English variety. It’s bare-root time – the trees are dormant and are readily shipped. We give below a video by the experts at Raintree Nursery in Morton, Washington. They guide you step by step. How soul-satisfying it is to plant a tree deeply rooted in American history that will yield bountiful harvests for decades to come. To cheer you on, we also include a video with tree planting music. With every tree you plant you are casting a vote for aliveness. Each tree is a beacon amidst the gathering darkness. You are bringing closer the “new birth of freedom” that Abraham Lincoln prophesied. Detroit shall yet be a garden for the human spirit. Hoboken – an edible schoolyard. Rejoice then, brothers and sisters, in the wonder of what America can be. Who doesn’t love a DIY copycat recipe? There’s just something so fun and rewarding about making something from scratch that you would normally buy at the store. 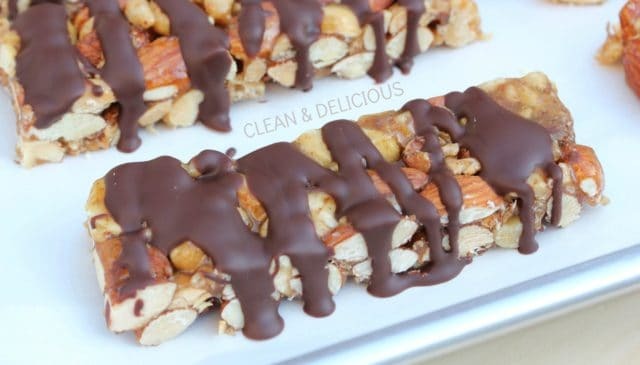 These simple nut and seed bars are an exact replica of the ‘oh-so-popular’ KIND bar and a must try for anyone who loves the feeling of ‘homemade’. I was inspired by TheYummyLife to make these bars. She has a great step-by-step photo demonstration that I found really helpful (and she shares other flavors as well). So if you are a visual learner, like myself, be sure to use her photos and my video to help you make this recipe a success. Be sure your nuts are toasted. If you buy raw nuts, you can toast the at 350 in the oven for about 8-10 minutes. You will need a candy thermometer, I like this one. Once the syrup boils, it will cook for another 6-8 minutes or so before it reaches the desired temperature. Just stay with it so it doesn’t burn. Spray your mixing bowl with some cooking spray before adding the nuts. I did not do this in the video but have done it since and it makes stirring and transferring a lot easier. This recipe is pretty easy but you do want to work quickly and efficiently once the syrup is ready to go. I find it very helpful to have everything else set up and ready to go ahead off time. I hope you get to give this a try! They are really delicious and super fun to make. 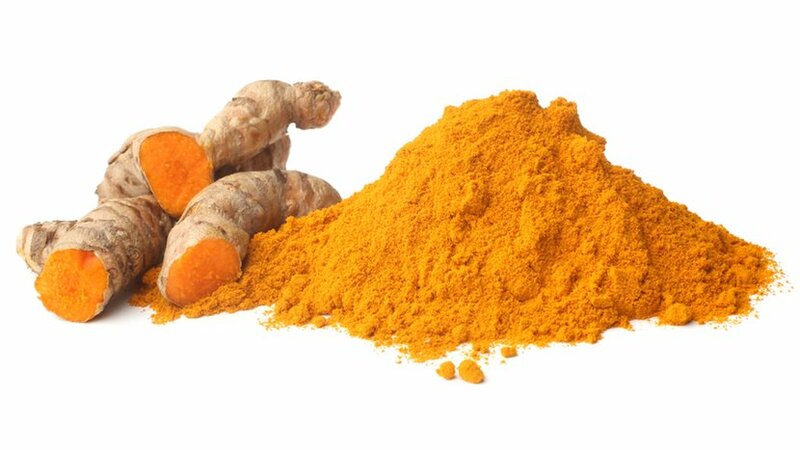 (Mercola) Besides giving Indian curries their rich golden color, turmeric contains a polyphenol called curcumin, which has been shown to possess many health benefits, including being a malignancy-fighting powerhouse. Curcumin’s health-boosting properties are well-documented and this single compound exhibits more than 150 potentially therapeutic actions. With thousands of studies performed,1 researchers have shown curcumin has antibacterial, anticancer, anti-inflammatory, antimalarial, antioxidant, antiparasitic, antiproliferative, pro-apoptotic and wound healing properties. While turmeric is widely available in powdered form, it contains a very small amount of curcumin, which is known to be poorly absorbed through your gastrointestinal tract. For these reasons, you’ll receive more health benefits from a curcumin extract. A typical anticancer dose is up to 3 grams (just under 1 teaspoon) of high-quality bioavailable curcumin extract, taken three to four times a day. Because it’s a lipophilic (fat-loving) molecule, many curcumin preparations include some sort of oil or fat to improve its absorbability and bioavailability.